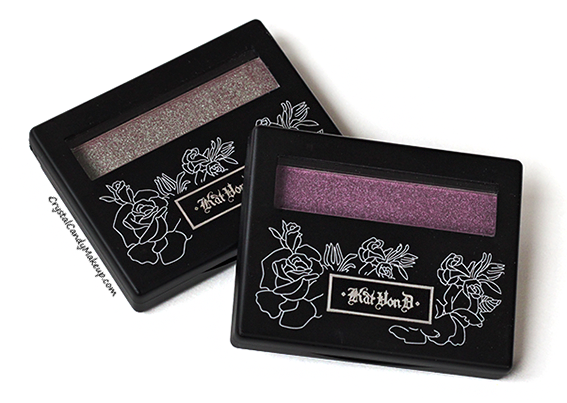 2 months ago I bought a beautiful duo of Kat Von D eyeshadows, but I totally forgot to review them! Better late than never, right? The duo isn't available anymore, but you can still buy them separately and seriously, you should because they are so hot! On The Road is a reddish brown with a strong turquoise sheen, such a stunning shade! 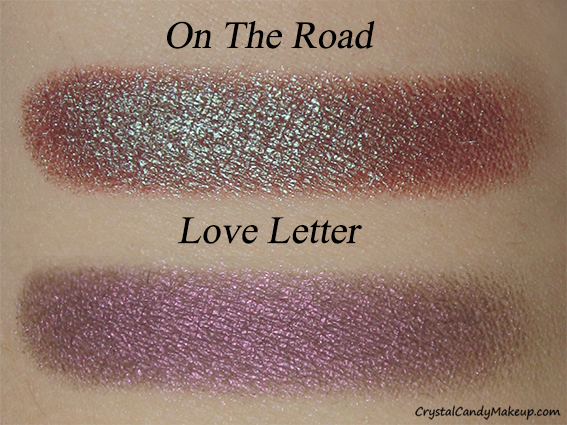 Love Letter is a purple which sometimes look more taupe, or has a pink sheen, but the duochrome effect isn't as noticeable than the other shade. It's still very pretty though! On The Road is soooo buttery smooth and the pigmentation is incredible! 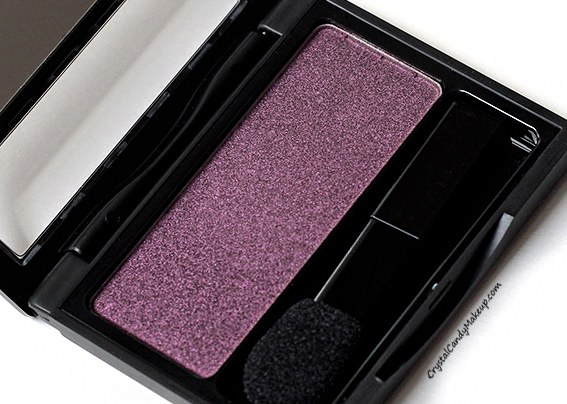 Love Letter feel a bit more dry and isn't as pigmented, but if you use it wet it look as good as the other shade. For the swatch below I applied them without any primer. They look even more amazing if you apply them with a drop of water or even better, some MAC Mixing Medium! OMG I love these eyeshadows, I hope they come out with more shades in the future! 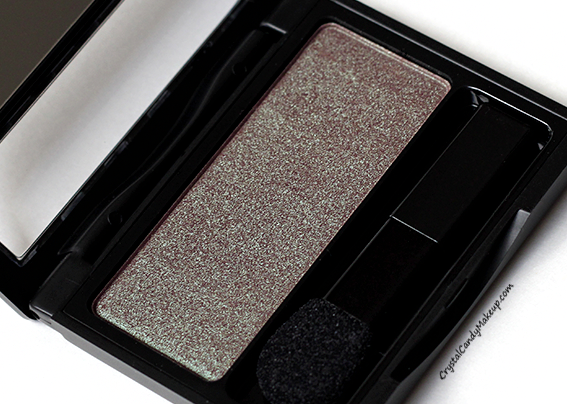 The Kat Von D Shade Shifter Eyeshadow retail for $20 CDN for 2.76g. i love on the road ... nice shade!